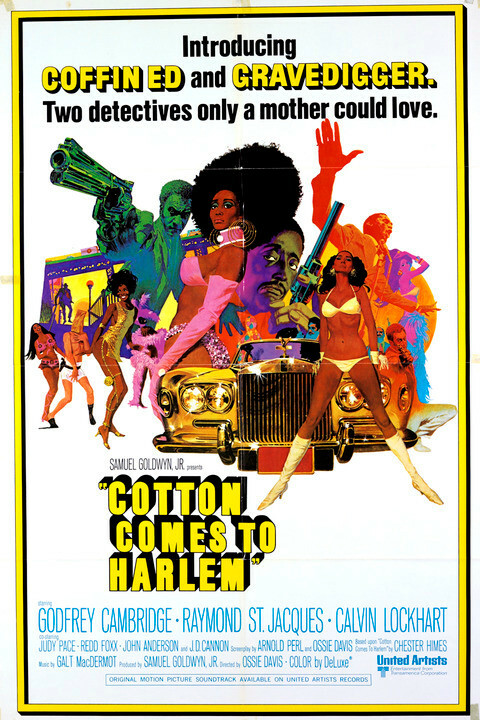 Variety magazine credited 1971’s Sweet Sweetback’s Baadasssss Song as the first ever Blaxploitation film; but the first of its kind can arguably be traced back to 1970’s Cotton Comes To Harlem, directed by the legendary Ossie Davis, who some of you will know as the African American who played JFK in Doscarelli’s cult classic, Bubba Hotep (2003). The fact is: Cotton Comes To Harlem has all the stylistic hallmarks of a Blaxploitation movie – music, lingo, action, etc – but many would argue that it’s a simple action comedy; but that’s irrelevant when the only thing that’s important is the movie itself, and Cotton Comes To Harlem is one sweet talkin’ soul brotha of a movie. 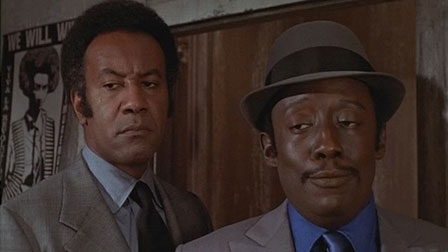 Based on the novel by Chester Himes, Cotton Comes To Harlem follows the head busting detectives “Gravedigger” Jones (Godfrey Cambridge) and “Coffin Ed” Johnson (Raymond St. Jacques) as they pursue the scamming conman, Reverend O’Malley. Along the way they encounter gangsters, militants and a host of other characters who stand between them and their target. The biggest compliment I can give Cotton Comes To Harlem is that it’s never boring and that it’s aged extremely well; if there isn’t a car chase there’s a shoot out; if there isn’t a shoot out there’s a brawl; and if there isn’t a brawl there’s some smooth talking exchanges between the characters, making for many moments that shift between melodrama and comedy. The novel is regarded as an important piece of American literature, as the author was a pioneer of African American crime fiction; social commentary about race and inequality are evident in the film too, but it never gets preachy at the expense of entertainment.